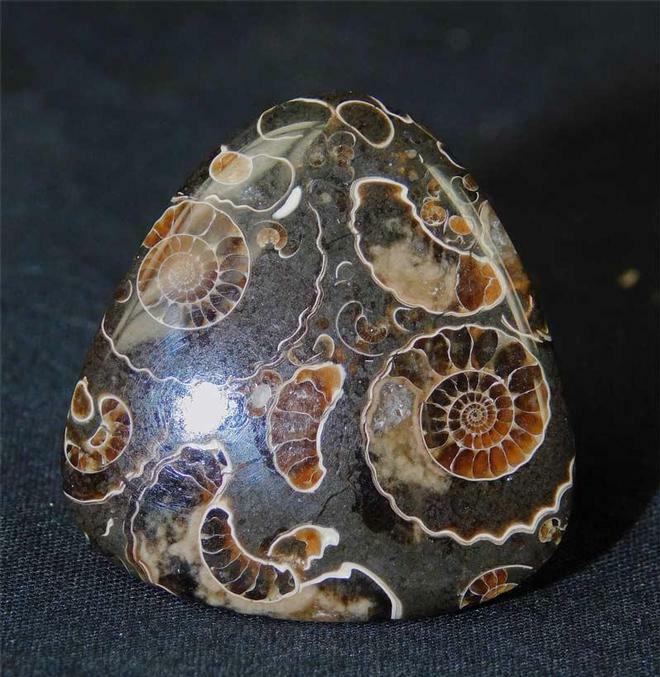 Wonderful preservation and colours are present in this fossil, which has been ground gem smooth and a high polish applied to reveal the ammonite's inner shell. The matrix has a cut base for upright display. 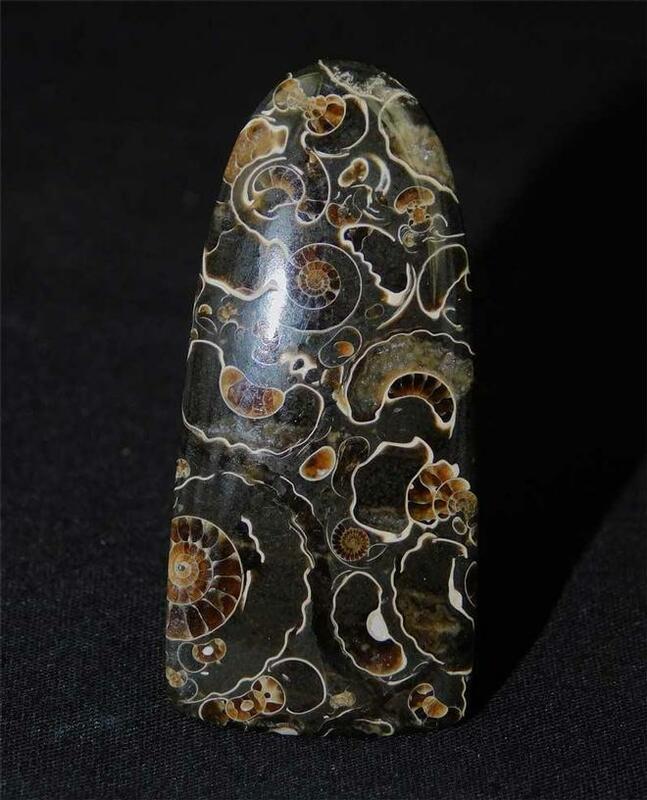 Approximately 195 million years old. A unique gift idea. 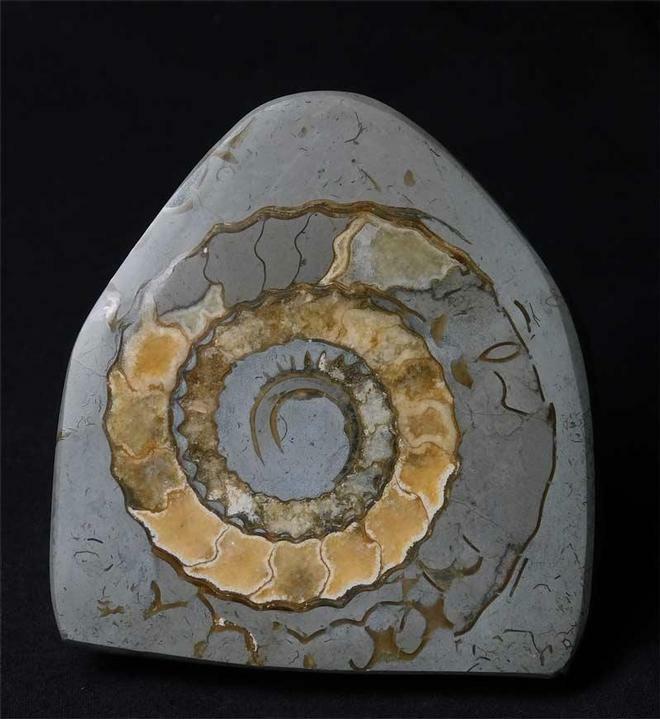 Again, another magnificent grade A cabochon which is packed with small ammonites (Promicroceras planicosta). 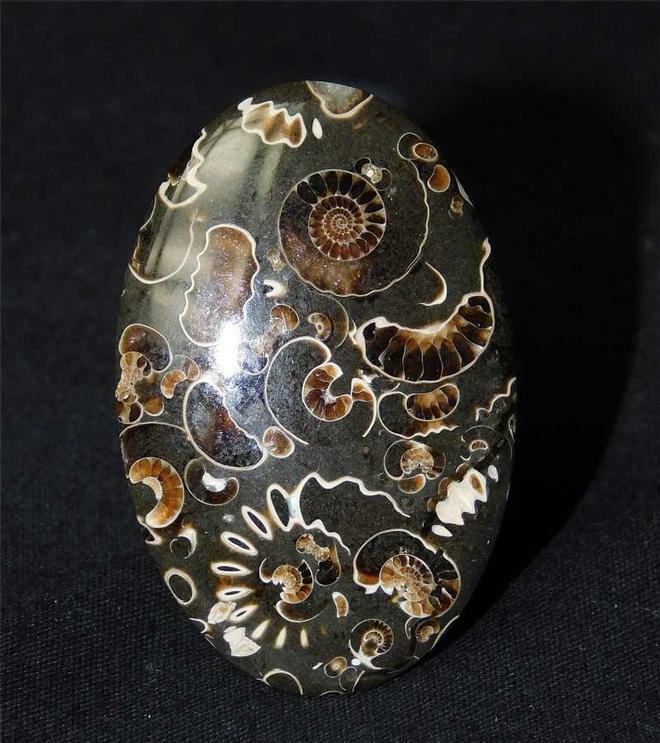 Each cabochon is totally unique and billions of these molluscs were wiped out in a single catastrophe some 200 million years ago. The colours and detail throughout is wonderful.